Sometimes, people ask me, “How did you get 260 acres no more than 10 miles from your home to hunt?” Well, I helped the fellow build his house on that property 20 years ago. We became friends, and I've been hunting there ever since. I asked him, “Would you mind if we planted green fields?” He said, “No, go ahead.” The landowner and his wife like to observe wildlife when we’re not hunting and go out and sit in a ground blind or one of our tree stands and watch the animals coming to the green fields. Another question hunters ask is, “Since you’ve been hunting that property for 20 years, I guess you don’t have to do any scouting. 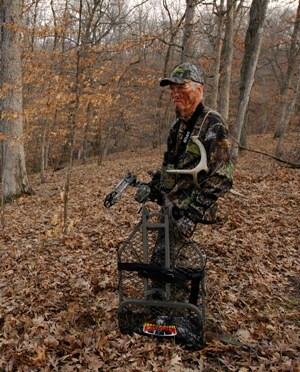 You probably know where the deer will show up.” I’d like to say that is true - but it’s not. About every 2 - 3 years, the deer seem to change their movement patterns, and we have to locate the new trails they’re taking to our green fields or to their bedding areas. If we knew exactly where the deer would be every time we hunted them, we wouldn’t have to hunt all season long to fill our tags. To make our green fields effective throughout hunting season, we make sure that we have green field plantings that will mature at different times of the year. Mossy Oak BioLogic clovers are the biggest of our green field plantings, but we add BioLogic’s Deer Radishes and Winter Bulbs & Sugar Beets for late season crops, and we add Winter Peas for an early-season crop. When deer start coming to our green fields, we don’t want the food to run out. A certain percentage of young bucks that you don’t harvest will decide that they’re safe staying on your land. Although they may feed on other properties during the night, they’ll remain on your property during daylight hours. So, if you provide sanctuary for young bucks on the land you hunt and only take the older bucks, I believe you can manage your property to produce bigger deer over several years. We take big, mature does because of New York’s large deer population, and then there’s more food for the other bucks later in the winter when they need it. 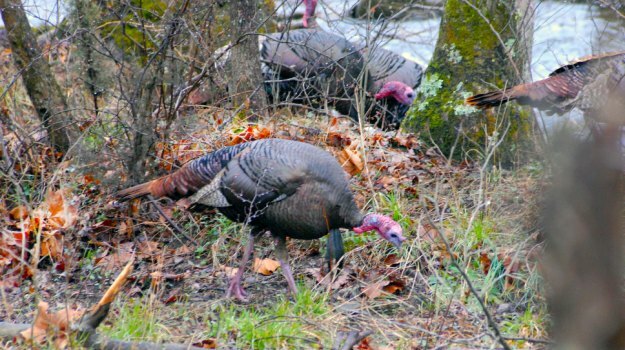 Another phenomenon that’s taking place in New York is urban hunting. We've got so-many deer in some places that deer live in people’s backyards. We've just had a regulation change that bowhunters now can hunt within 150 feet of a house, which gives bowhunters a much-better chance to take those backyard bucks than they’ve ever had. 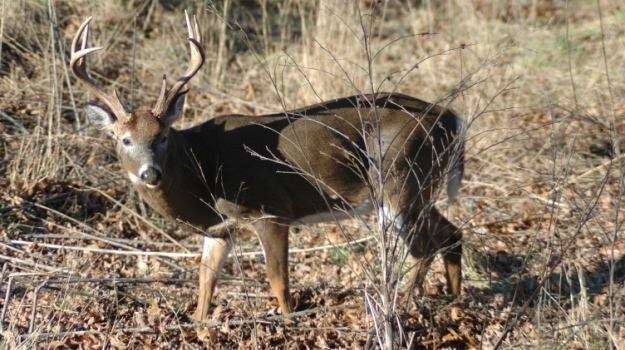 In many suburban areas with high deer populations, you can knock on a landowner’s door. Often, you’ll hear, “Yeah, I’d love for you to take some of these deer. 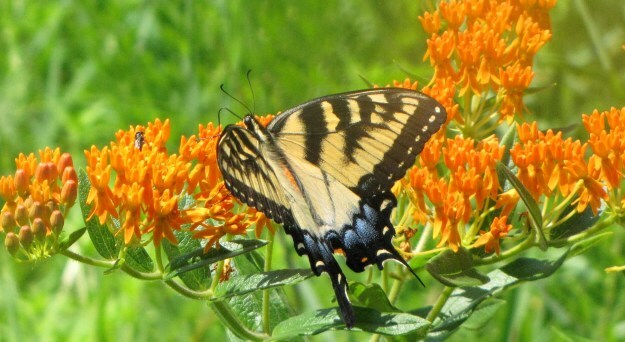 You’re welcome to sit on my back porch and watch them if you wish.” Some suburban landowners have to replant flowers and shrubs every year, because the deer come onto their properties and eat their flowers and bushes that often cost $2,000 or $3,000 to replace. If we can remove the flower and bush eaters with our bows, the landowners are happy, and we’re happy. Deer eating landscape isn’t the only problem. A bigger problem is vehicle collisions with deer. New York has one of the highest rates of deer/vehicle collisions in the nation. People are beginning to realize that although they may enjoy seeing the wildlife, they don’t like spending money to re-landscape their yards every year or take their cars to the body shops and spend several hundred dollars because a deer has jumped out in front of their cars while they’re moving. I don’t know how this relates to other parts of the country. But when deer start causing landowners to spend money they haven’t wanted to spend, the landowners will realize that some of the deer have to be harvested to enable the landowner to keep more of his hard-earned money. So, we’re really seeing a trend here in New York of more suburbanites welcoming bowhunters onto their properties. And, these are a few of the reasons why I love hunting in New York. Mossy Oak Waterfowl ProStaff member Cory Dukehart talks about hunting waterfowl in dry fields. Cory shares decoy set-up, scouting and other tips to be a better dry field waterfowl hunting. 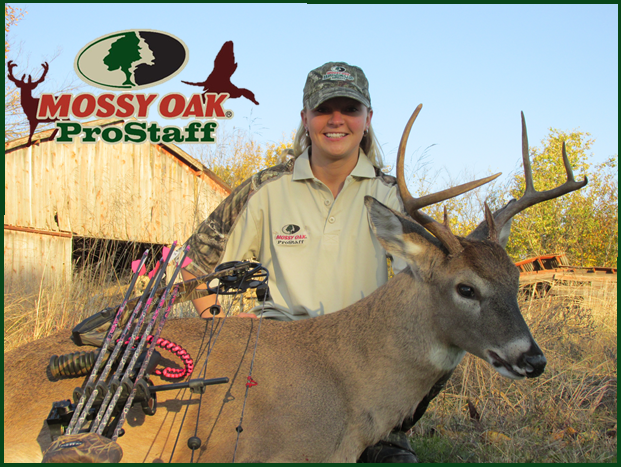 Rochelle LeClaire lives in Schaghticoke, New York, in eastern New York, and has been a member of the Mossy Oak ProStaff for five years. She hunted with her dad, grandfather and brother, until she was old enough to get a hunting license. Although married and with two small children, Rachelle hunts as often as possible and enjoys preparing and eating wild game.